I found myself with a free afternoon yesterday, not something that happens often these days as any spare time I have tends to be dedicated to writing, but I’m in a lull on one project and stuck on another, and so I found myself plugging my guitar into a pedal board and amp, and I started thrashing out a few chords. Inspired by its inclusion on the GUARDIANS OF THE GALAXY soundtrack, I thought I’d have a go at learning David Bowie’s splendid MOONAGE DAYDREAM and was surprised by how simple it was: lots of nice major/minor chords, a very easy riff and a straightforward melody. Major chords. Easy peasy, lemon squeezy and making people feel totes emosh since the dawn of time. 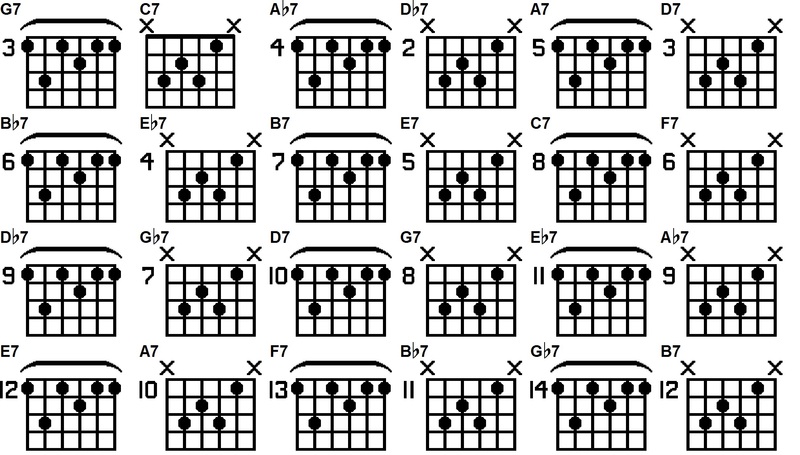 Jazz chords. Evil bastards. Not to be trusted. Of course, this theory is full of holes: if anything, the Beatles’ songs became more straightforward as they progressed, Kate Bush’s stuff was always complex musically (though her early albums are arguably more tuneful), and it probably doesn’t apply to classical or opera, though Beethoven’s Fifth (Duh-Duh-Duh-Duuum!) is as rock n roll as classical gets. But you get the idea: the simple stuff works. It will always have a greater reach, audience-wise, than the introverted, “clever” stuff. And here comes the big, clanging, G-major analogy that I’ll be trying to apply to my writing: I won’t be putting too many jazz chords into my stories. I might think I’m being clever by killing the hero on page 35, or starting in the middle of my story and working backwards via flashforwards, but some poor producer has to pitch that idea to raise money, and nine out of ten of them will always go for the simple sell. That’s not to dismiss “simple” as “easy”: keeping a story truthful, engaging and emotional is hard enough as it is. So why make life more difficult for yourself?